The Norwegian journalist Anders Sømme Hammer has released a series of video documentaries about Faryab Province in Afghanistan (*) The videos make painful viewing. Faryab was ‘Little Norway’: the area where Norway took primary responsibility for security in the crucial years from 2005 until 2012. In the documentaries, we encounter a province where the Taliban are now in a stronger position than ever. A province where the government and the regular military forces are completely dependent on local militias to maintain control over the provincial capital and the main traffic arteries. Where these militias systematically violate international law, as when driving around with dead Taliban fighters tied to the bonnets of their vehicles, before displaying the corpses prominently at traffic roundabouts (**). This is far from the shining example that Norway wanted Faryab to become. Norway took on the responsibility for Faryab for several reasons. Norwegian forces had been stationed in the province since as early as 2004, when they formed part of a British-led stabilization force. The following year, when the British wanted to move on to southern Afghanistan, Norway agreed to take the lead in Faryab. For Norway, taking over from the British, who had focused on conflict management rather than on military confrontation, was an attractive prospect. Being subordinate to the Germans, who were in charge of the region, was equally so. Not the least, Faryab appeared calm and manageable, in contrast to the restless south of the country. But there were enormous tensions under the surface, with an ethnic patchwork, the legacy of the period before 2001 when the Taliban stood strong, as well as lucrative drug-trafficking routes. to what extent is Norway responsible for the situation that we now see? So to what extent is Norway responsible for the situation that we now see? One should have had a better understanding of the potential for conflict before taking on the task in Faryab. Norway attempted to pursue a somewhat less aggressive military strategy than some of its allies, and also stood out by insisting on separation between its civilian and military involvement. At the same time, Norway was cautious about expressing criticism within the NATO alliance, in particular against the dominant party, the United States. Accordingly, it is is anything but straightforward to distinguish between what is Norway’s responsibility, and what is not. What is clear is that Norway supported the international effort as a whole from 2001 onwards, and accordingly must bear responsibility for its part of that whole. But is it so certain that Faryab, and Afghanistan in general, would be in a better state today without the massive military and civilian efforts we have seen from 2001 onwards? The military intervention in 2001 had broad international support. The follow-up invasion of Iraq a year-and-a-half later led many to question the motives for the intervention in Afghanistan. International terrorist networks, driven out of Afghanistan in 2001, moved on to Pakistan, Iraq and other countries. In Afghanistan, the United States and NATO entered into alliances with local warlords and militias, laying the groundwork for the return of the Taliban. There is nothing new about the recent decisions of the Afghan government, in consultation with its international allies, to respond to military pressure by establishing militias. The terror attacks of 11 September 2001, and the response chosen by the United States and its allies, changed the world in ways that are fundamentally at odds with longstanding priorities in Norwegian foreign policy. Not the least do we see that in the commitment to resolving conflicts peacefully, and with respect to international norms and rules. It has now been conclusively documented that the United States had far from exhausted all possibilities to reach a negotiated solution with the Taliban in 2001. Norway constantly emphasizes that it is possible to talk to all armed parties in a conflict, but in Afghanistan we entered a war against a local group of insurgents which as a result became branded as part of a global terrorist network. 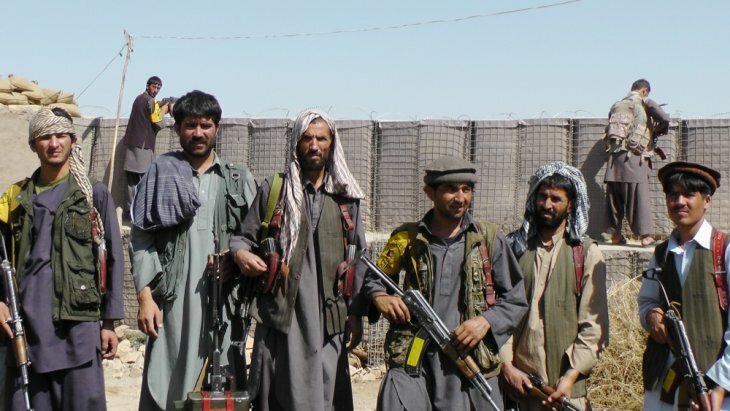 The intervention helped bring about a more radicalized and uncompromising Taliban, who now carry out large-scale terror attacks in their home territory, although they stay out of the kind of global struggle pursued by Al-Qaeda and IS. Norway’s subsequent efforts to find peaceful solutions in Afghanistan deserve all possible praise, but were conducted in a climate where top priority was always given to military means. Through its military efforts in Afghanistan, Norway contributed to erode the basis for peaceful solutions to conflict. At the same time, respect for international norms and rules has been weakened. The extensive support rendered to militia groups, and the violations that these groups carry out, is a part of this. The reluctance of NATO and the United States to acknowledge responsibility for civilian casualties is a second factor. The establishment of prisons of dubious legality and the use of torture is a third. As a small country with big ambitions, Norway has made the building of international norms a central issue. The operation in Afghanistan, in which Norway took part, has contributed to eroding these norms. (*) Anders Sømme Hammer’s video documentaries in Morgenbladet have been posted from 8 June onwards. The videos are in Norwegian, and access is restricted to Norwegian IP addresses. (**) The first video documentary in the series features Nizamuddin Qaizari, a local militia commander, who was arrested by the central government on 4 July, as part of a crackdown on unruly militia commanders.